Don't become a cleaner....... Let Ace Cleaning Services show you how to be a successful cleaning business. Get our free advice today! Why invest money purchasing a franchise if you can't control your own business growth? If you don't want to grow your cleaning business you are better off keeping your money in the bank and getting a job!!! Ace are not like other franchises we wont try and control you by keeping our growth systems to ourselves. We will train you in the techniques we have developed in over 70 years in the cleaning industry. We can help put you in the driver seat and help you create your own profitable cleaning business. Yes, you can, but don’t be fooled! A franchise is a business you own, it’s not a job. Your success will rely upon your efforts being directed in the right direction. A franchise should provide a franchisee with the skills and knowledge to run a cleaning business not “be a cleaner”. A franchisor should train, direct and guide you with proven systems and protocols focusing on business growth and development. Your focus should be on a quality product (cleaning service), marketing, sales and business planning and implementing the systems the franchisor provides. Most people new to the franchise system and in particular a cleaning franchise will focus on how much work or income a franchise can provide. These are important questions but more important are the following. Will the franchise provide me with flexibility in territory and services. 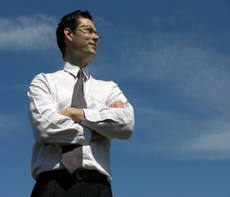 Will the franchise provide me with the skills I need to take control of my business development. Will the franchisor train me in how to develop a business and marketing plan specific to my business. Does the franchise have a proven track record and history in business development. Does the franchisor have an established brand. What are the fees and charges. Can the franchisor direct and advise me on new business opportunities and directions. Focus your enquires on how much the franchisor will allow you to take control of your business. You do not want to be reliant on one source for your business growth. You will always need to use the franchisors knowledge and brand but you will also need the knowledge to take control and grow the business to what you want, not what you get. Franchising is the largest growth industry across the world. Why? Because a franchise can help you fast track your business growth, help prevent you making costly and in some cases catastrophic business decisions and provide you with a system that has a proven track record of success. The franchise council of Australia had supplied statistics that stated that 80% of new business startup failed in the first 5 years, but only 8% of franchises failed. Yes a franchise will cost you in service fees or royalties but this small cost will be greatly outweighed by the benefits of the franchisors brand and systems. 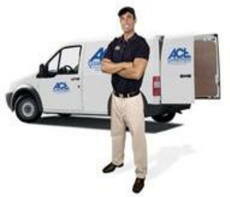 Why an Ace Cleaning Franchise? Ace provide a 68 year old brand with a proven track record. An Ace franchise focuses on giving you the power of control over your business and provides the training and tools you need to be successful. Ace are totally transparent in explaining what it really takes to be a successful cleaning franchise, we don’t want people “buying a job”. We want people wanting to learn how to create a successful and profitable business. Established in 1949 we can help and guide you through the growth of your cleaning franchise. 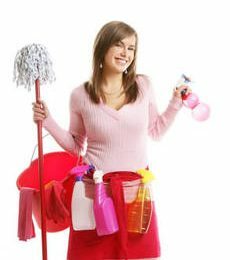 How to become a leading business owner in Cleaning franchise? Do you want to learn our strategies that have kept us in business for over 70 years? 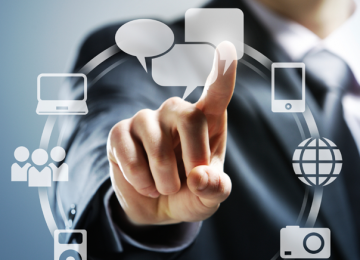 Our software give you a massive edge over your competitor. What you need to know about franchising. Ace offer all franchisees the opportunity to generate more income….